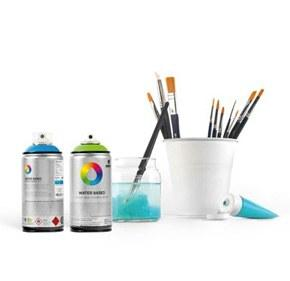 MTN Water Based Marker - 08mm - RV265 Raw Sienna is a great water-based thin line graffiti marker or fine art marker with a high coverage paint that works well for fine detail work. Similar to a Molotow one4all this 08mm paint marker is perfect on canvas or any graffiti art project. Montana Colors Water Based 08mm Paint Marker RV265 Raw Sienna is a full middle brown tan hue paint refill. Copyright © 2018, Spray Planet. All Rights Reserved.